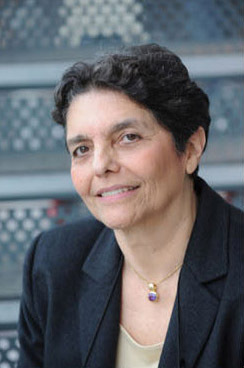 Professor Carlota Perez is Professor of Technology and Socio-Economic Development. She is also a Visiting Professor of International Development at the London School of Economics and Political Science (LSE) and Honorary Professorial fellow at SPRU, University of Sussex, and at the Institute for Innovation and Public Purpose (IIPP) at University College London. In Technological Revolutions and Financial Capital: The Dynamics of Bubbles and Golden Ages (Elgar 2002), she put forward her theory of the emergence and diffusion of technological revolutions and of the role of finance in the process. Her work has contributed to the present understanding of the relationship between technology, innovation and economic development; between technical and institutional change; and between finance and technological diffusion. She is currently working on a sequel, Beyond the Technological Revolution, funded by the Anthemis Institute, which analyzes the roles that government, business and civil society play in the deployment of the potential of each revolution.